High altitude hiking is not for the faint of heart. Or lungs. The rewards of high altitude hiking are amazing— you get to see views that only a few can witness; you get this feeling of accomplishment that comes when you climb a high peak. But like everything that’s worth getting, high altitude hikes are not a walk in the park. It’s not for the faint of heart, sometimes quite literally. At a minimum of 8000 feet, oxygen is thinner up in these trails compared to sea level. The trails can run pretty steep and dangerous. Weather can be quite unforgiving, too. You might also be affected by acute altitude sickness or ALS, which we’ll tackle in-depth further along the article. If you want to reach that peak in one piece, you gotta do your homework. Before embarking on a high altitude hike, you must first prepare your body through proper training. This should be done weeks or even months prior to your climb, especially if you’re planning to go over a particularly challenging trail, or if you need a bit of shaping up. As mentioned earlier, the air gets thinner the higher you climb. Decreased oxygen levels will force your body to exert more effort: your breathing and heart rate will increase in an attempt to take in more oxygen. Between the physical demands of the hike and the weight of your bag, you’ll be out of breath before you know it— if you don’t train properly. So before you embark on the trail, make sure you’re physically fit by doing various exercises to improve your cardiovascular endurance. Jogging is one of the best ways to physically train for high altitude hikes. Jogging improves your breathing, endurance, and overall cardiovascular health. It also strengthens your hamstrings, quads, glutes and calf muscles in preparation for hours of walking. Make it a point to jog at least 4 km in 25-30 minutes daily to improve your cardio. Ideally, you should do this for a month. Intense? You’ll need it on the trail. No matter how hard you jog or how much you try to keep your bag’s weight down, carrying it on the trail will still be a challenge. This is where rucking comes in. Rucking (short for rucksacking) is where you basically carry your pack with you while out hiking in the woods. Rucking combines elements of cardio and weight training to make you better equipped for the trail. It lets your body adjust to the weight of your pack while strengthening your back muscles and improving your gait. 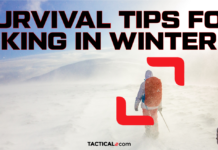 It’s like a dry-run to the actual hike: if you think your bag is too heavy while out rucking, you’ll still have time to reduce its weight before you embark on the actual trail. You can also incorporate other activities like biking, climbing stairs, running or even swimming to increase cardio. Low oxygen concentrations can trigger faster breathing and more frequent urination. This is your body’s way of keeping your acid-base balance in check. The physical exertion of hiking through elevated terrain will also cause you to lose more fluids than normal. Another thing to consider and prepare for is the lack of moisture in the air. The higher the altitude, the drier air becomes. This means that the moisture on your skin will evaporate quicker. You won’t notice that you’ve been sweating and losing fluids until you’ve become thoroughly dehydrated. This is also why chapped lips, dry eyes, and even nosebleeds are so common at high altitudes. Lastly, the lack of hydration can mask or even worsen the symptoms of acute altitude sickness, so it is always best to stay hydrated while on the trail. Drinking adequate fluids is more important than ever when you’re hiking in high altitudes. You’ll need to keep hydrated with water and electrolytes to replace the ones you’ve lost during the hike. Keeping hydrated not only allows your body to regulate temperature, it also helps your blood cells carry more oxygen, allowing your body to adequately burn calories for energy. Water and electrolytes also prevent muscle cramps which are especially important when you’re out on the trail. To adequately prepare for high-altitude hiking, you must get used to drinking larger amounts of water than you’re used to at sea level. It’s important that you should also avoid diuretics like caffeine, soda, and alcohol as they would trigger urination. So skip the beer and coffee and eat foods that have high water content instead. Aside from low humidity and moisture in the air, hiking at high altitudes means you’re actually closer to the sun than you are at sea level. UV exposure increases the higher you go up, so make sure to protect your skin by moisturizing. Don’t forget to pack and slather on some moisturizer, sunblock and lip balm regularly. Saline nasal gels also help prevent nosebleeds at high altitudes. Acute altitude sickness is common when you take on high altitudes too fast, too soon. This is caused by the low levels of oxygen at high altitudes. Symptoms include headaches, dizziness, and nausea. This could further progress into a more serious case of High Altitude Pulmonary Edema (HAPE), where water accumulates in the lungs or High Altitude Cerebral Edema (HACE) where the fluid pools in the person’s brain. This can cause coma and even death. The only solution to altitude sickness and its complications would be to descend to lower altitudes. If you don’t get over the initial symptoms of altitude sickness, you might have to cut your hike short. It usually takes 1-3 days to acclimate properly, longer if you’re about to climb to higher elevations. To do this, you must slowly and gradually introduce yourself to the altitude. Don’t fly or drive directly to your hiking destination; instead, try to stay and spend more time at a lower altitude a few days before your actual hike. Don’t shock your body into doing strenuous work at high altitudes. Go for low-impact activities like strolling before going for more heavy-duty tasks. You can also try to embark on shorter, easier hikes on similar terrain as part of your training. In extremely high peaks, professional hikers even carry portable oxygen canisters as an additional safety measure. If you’re still a beginner, make sure to do your best to acclimate properly to avoid any untoward incidents. A diet high in complex carbs and low in fat is the way to go. Complex carbohydrates like whole wheat bread, energy bars, pasta, nuts and brown rice require less oxygen to be burned. They also replace muscle glycogen that you’ve used up during the hike. Complex carbs can also keep your energies up for the long haul. Low carbohydrate diets, on the other hand, can potentially cause hypoglycemia or low blood sugar. Low carb foods include veggies like broccoli and kale, eggs, butter, and seafood. Foods high in fat also take more oxygen to burn, so stick to complex carbs. Learn how to ration your meals properly by packing them by date in separate ziplock bags. Last but not the least, you need to be mentally prepared for the trail. You obviously won’t have familiar, everyday comforts and conveniences. Things will be tough and will not go according to plan most of the time. You’ll encounter inclement weather or harsh elements along the way. You might spend a day or two longer on the trail, or you might have to sleep in the rain or snow. Physical exertion will take its toll, so you need to keep a level and motivated head on your shoulders in order for you to complete your hike. Don’t lose sight of why you want to hike or reach the summit. Don’t make a fuss when things don’t go as planned; instead, keep a positive attitude and just go with the flow. Hiking high altitudes may not be the easiest outdoor activity out there, but it sure is quite rewarding. It’s one of the few things in life that lets you enjoy nature while challenging yourself to go beyond your physical and mental limits. To truly enjoy your hike and fully immerse yourself in the experience, make sure that you’re prepared. Go on a hike in great form by exercising, hydrating and acclimating properly. While you’re at it, don’t forget to bring a camera along so you can capture the scenic views. Most of all, keep a positive attitude and enjoy every moment out on the trail. Previous articleWhich of These Survival Tips Are True and Which Ones Are Likely To Kill You?